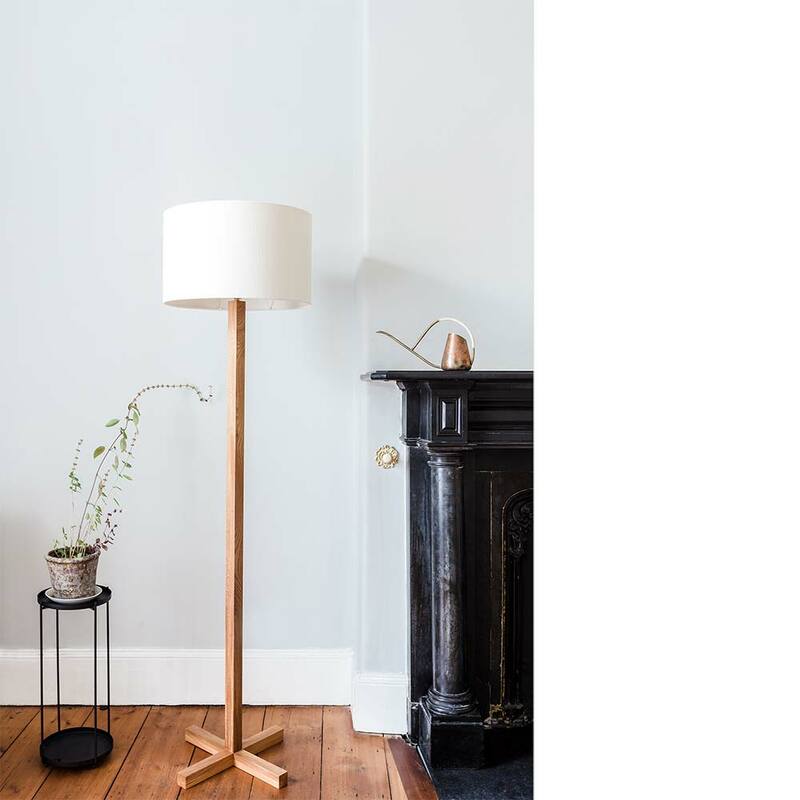 The noughts and crosses floor lamp is made from wild Irish elm. The circular 'nought' shade contrasts the base, which is drawn out to form a 'cross'. The cable is hidden in the interior of the lamp stand. A hardwearing, natural, hand rubbed oil finish is applied. The lamp can also be made in other woods such as wild Irish oak and ash. The shade is not provided enabling you to choose your own cylindrical shade. Dimensions: height 190cm, base 50cm, shade 50cm diameter by 30cm height. Please specify if you require a custom lamp height. Limited edition no. 3 now available.